Every year around this time I think of a little practical or quirky something that I would like to make for long suffering Big B. Since the blog started we have had Valentine Monster, I Love You Kitten and last year My Foxy Valentine. None of them were a surprise. 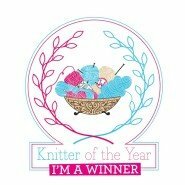 I wanted to show you and share the designs on-line. For the second year running I have pre-Valentine idea and then a secret idea which I will share with you after 14th February. 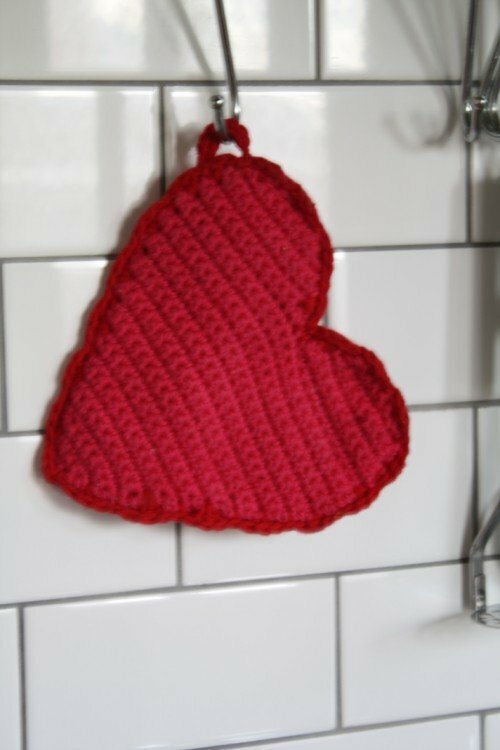 Aside from my Valentine potholder of last year being ‘VERY PINK’ it has proved to be an absolute boon in the Varnam household. With the up-cycled kitchen I felt another practical pressie was on the cards. 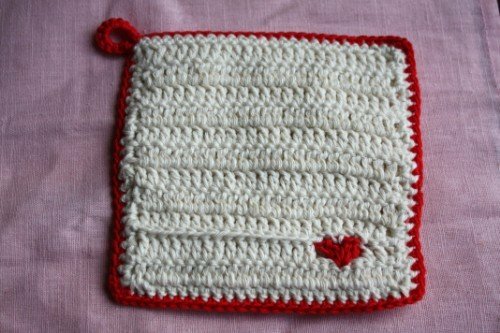 So I have made a ‘Little corner of my heart’ potholder. 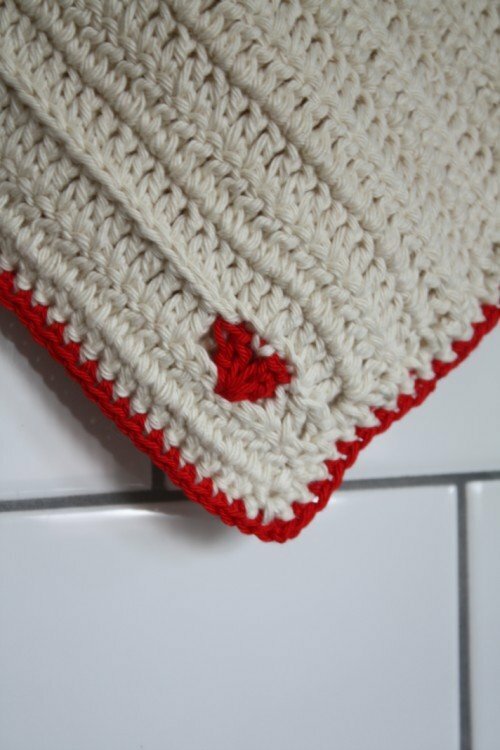 A simple but effective design, using dishcloth yarn and some remnants of red cotton. 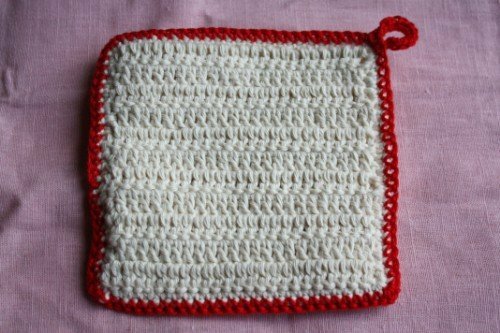 I made two squares and sewed them together by edging the squares in double crochet. The great thing about making such a practical gift is that you use it everyday and it is a little reminder of the original sentiment. Who knows maybe chocolate or a bottle of wine would be preferable? 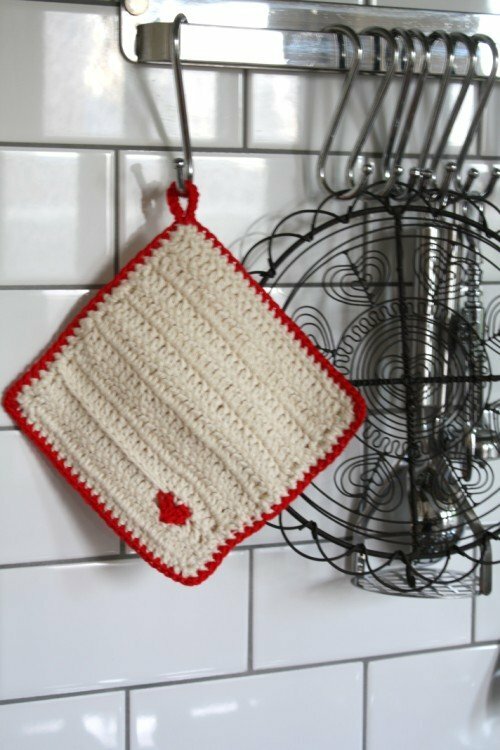 But when those have long hit the dust, this pressie will continue to brighten the kitchen.